Welcome to Syrinscape and the Pathfinder 2.0 Playtest! 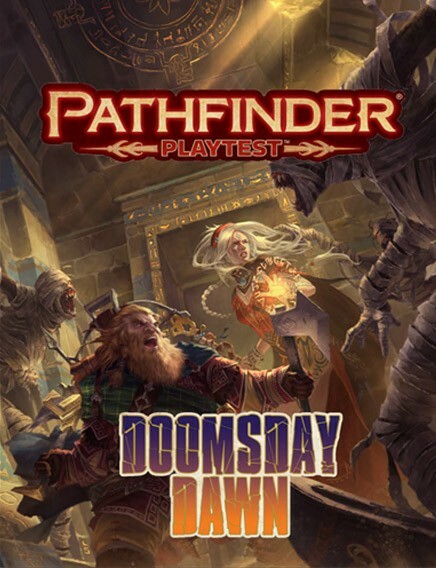 We are really excited to continue our work with Paizo, bringing their playtests alive with Syrinscape's official Pathfinder sounds. In case you have never heard of Syrinscape, Syrinscape is a revolutionary sound design app that adds evocative ambient background sound and a movie-like soundtrack to your tabletop gaming experience. Syrinscape conjures every aural landscape imaginable, from ethereal forests and stony shorelines to dank vermin-filled dungeons and the spooky depths of Golarion. And best yet if you already use Syrinscape we are proud to say that Syrinscape in totally 100% compatible with Pathfinder 2.0! No pesky stat adjustments or legacy rules here. How do I access my cool new free sounds? Easy, just follow these simple steps! 3) Find the (PPT1) Sound Sets (near the top of the leftmost column) and click "install Soundset"
The free Playtest soundsets contain sounds from many of our other soundsets and have been designed especially for the playtest, They will be available for the duration of that chapters playtest. So once the test moves to chapter two the chapter two soundset will become visible and chapter one will disappear, likewise for chapter three, four ... etc. If you followed step 1a) and registered for a free account, you can also then purchase additional soundsets directly from our store or from Paizo.com, or you could subscribe and unlock our entire back catalogue of sounds, to really help bring your gaming to life! Enjoy all the noise and happy gaming! Ben, Steve and all of us at Team Syrinscape.